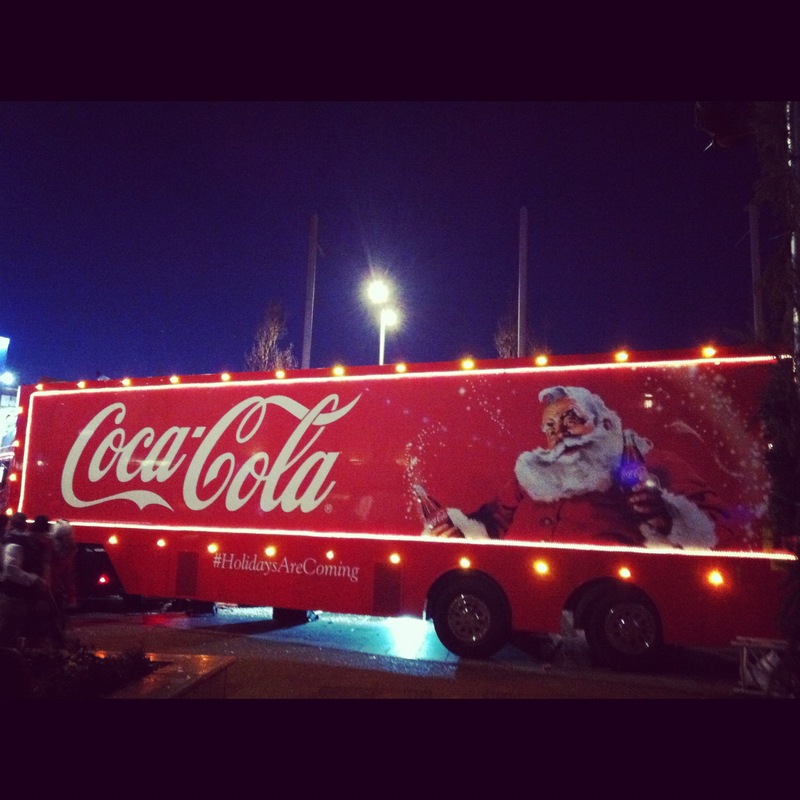 I took my first trip around the Galway Christmas Market last Friday and I definitely picked the right day because the Coca Cola truck was in town! 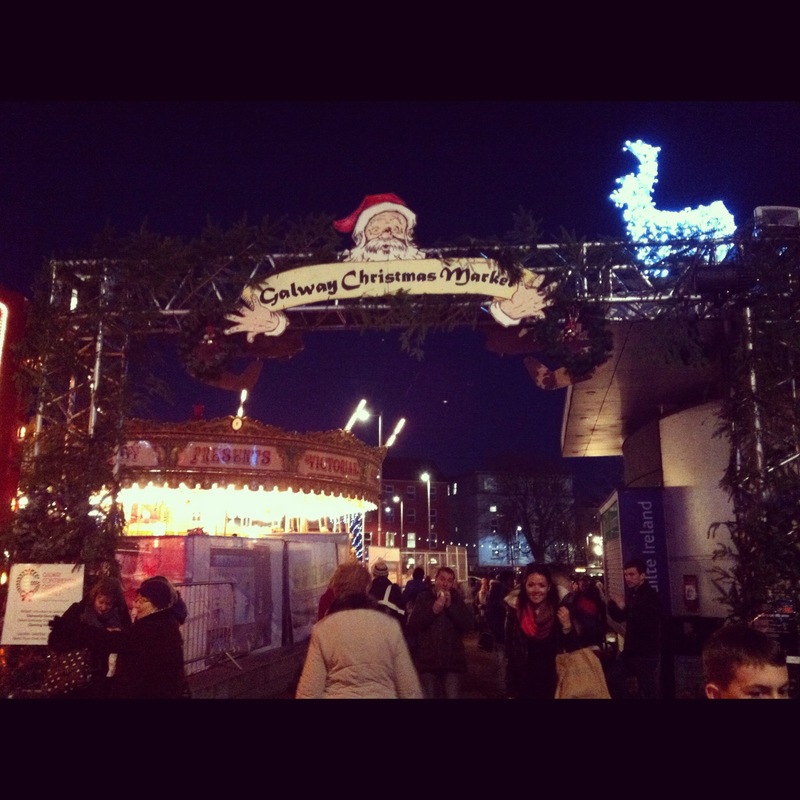 😀 There was a great atmosphere and it felt so Christmassy. 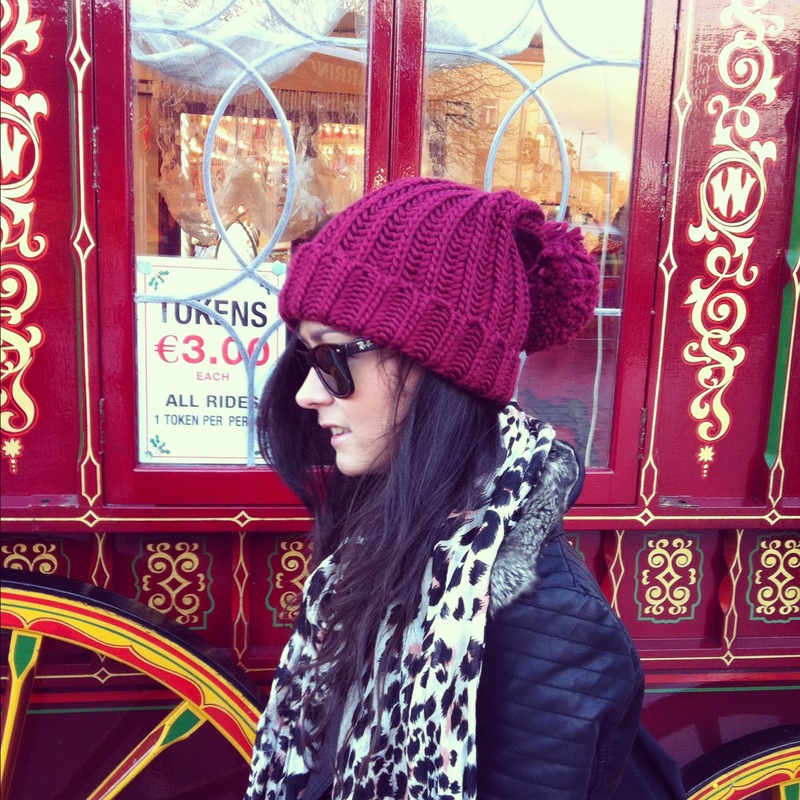 On this day I was wearing a burgundy hat, grey knit top and black flats all from Penneys. 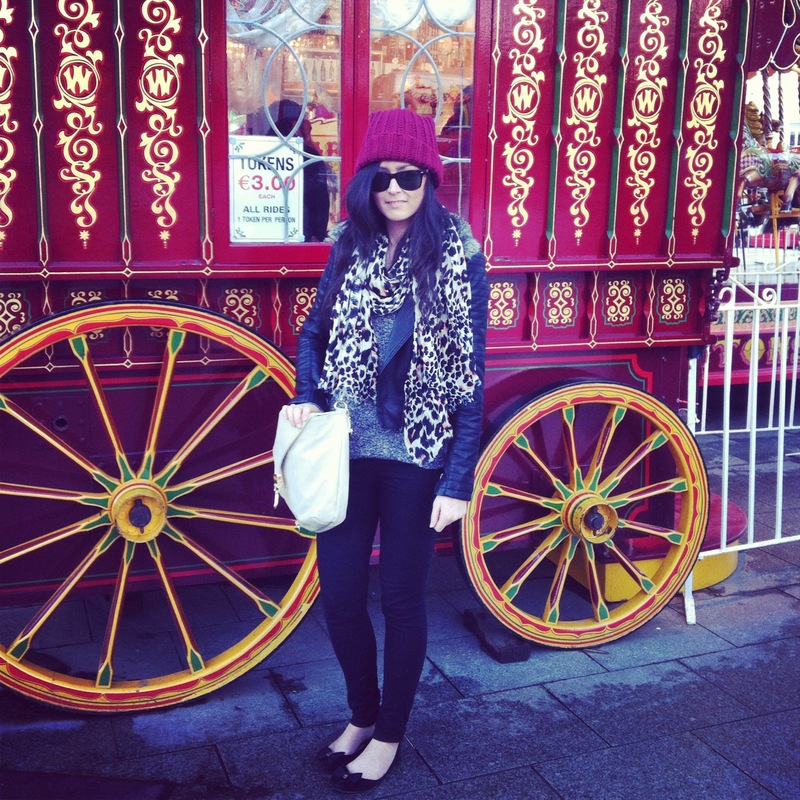 My black jeggings are by Pieces available in Vero Moda, my leather jacket is from Topshop, and my white leopard print scarf is from H&M. I am also wearing my Ray-Ban Wayfarers and my bag is from Marc B. This is such a great bag and perfect for university. I love Marc B bags, they are such good quality and look a lot more expensive than they actually are.